I planted the mixture of 1/3 each at a rate of about 60 pounds to the acre, sort of aimed at two bushels per acre because I simply broadcast the seed onto the soil. I didn’t even try to cover the seed or cultipack. I might have cultipacked the seed, but my cultipacker is currently broken. A big roller would work…but I don’t have one. If this works, my plan is to make a cutting of hay, then apply compost. 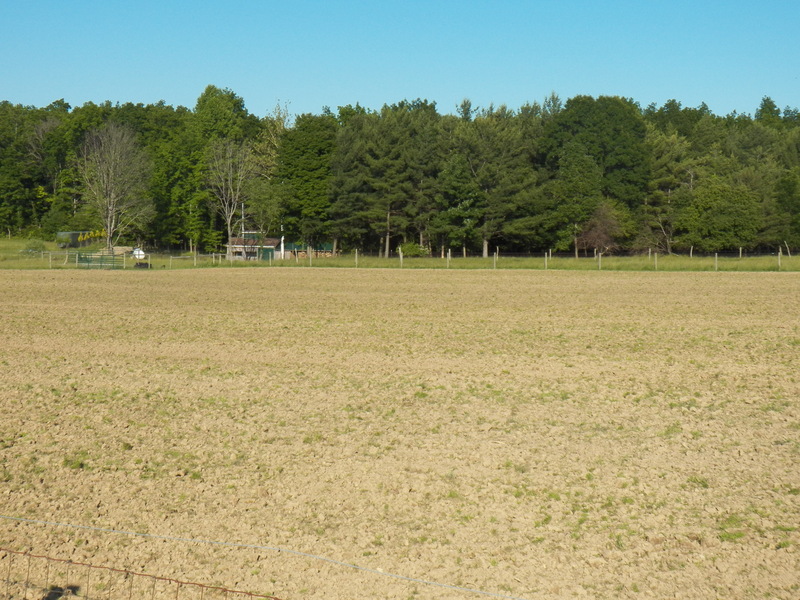 I will let the whole field regrow until late August or early September. Then the whole thing will be plowed down as a green manure crop for the speltz that will follow in mid to late September. I have heard of folks getting 1.5 to 2 tons of dry hay per acre using a method such as this. There are many variables and I have not done this before, but I think it will be successful if only due to the weed suppression from the buckwheat and heavy seeding rate. Plus, mowing the whole mess will take some vigor out of any weeds too , I hope! In any case, it was a long yet good day. No break downs, no rain and everything went well. I finished before sundown and even took a few minutes to sit in a lawn chair and do nothing! Rain is in the forecast for tomorrow. Hopefully, it will set the seed and get it off and growing…the experiment is now underway.